This one is equal parts cool, silly, and unsettling. 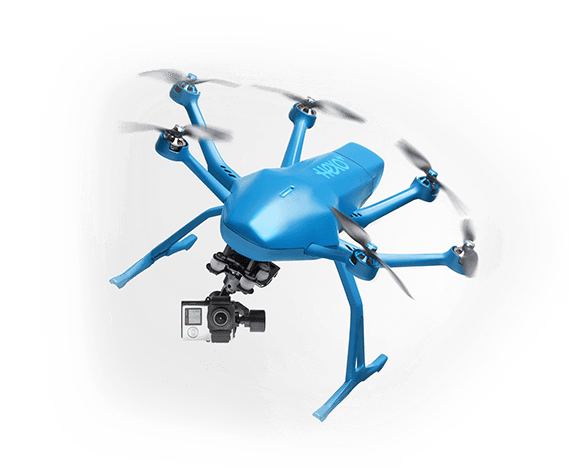 Hexo+ is a camera-equipped drone that uses pattern-matching technology to follow a given target – think “selfie hovercraft.” The idea is, you can use the app to make the drone follow you at a given speed and distance as you’re shredding some singletrack. Or it can hover around you as you dangle off the face of a mountain. Or catch a wave. You get the idea. This way, you can document your outdoor prowess without bothering your friends to photograph you — or break your neck taking selfies. Other potential uses include investigating insurance fraud, stalking (eww), and following your child to the bus stop. The mind reels! 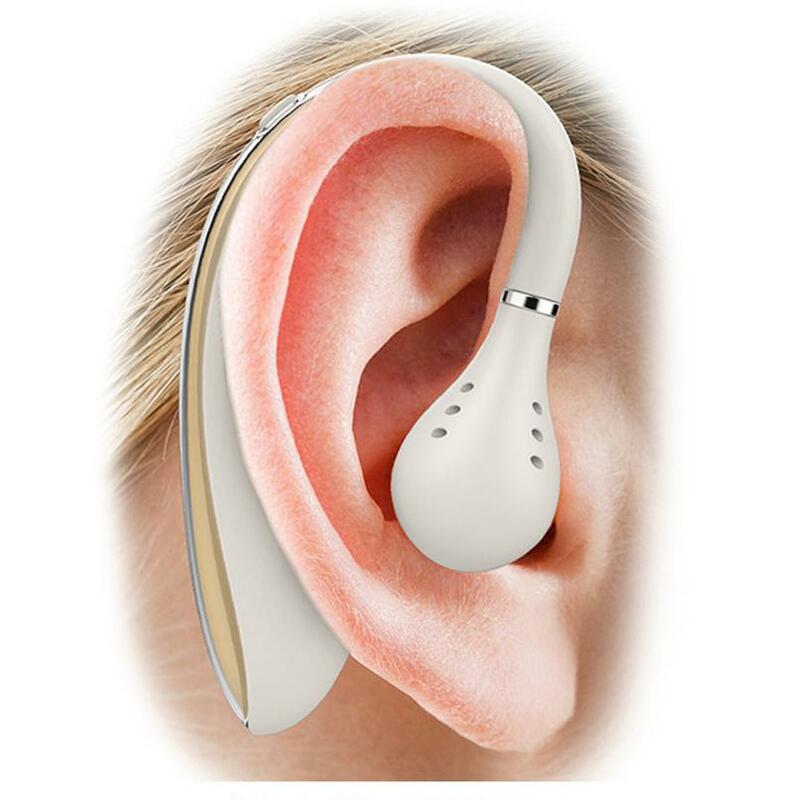 This ear-mounted device from Chinese company VVFly is designed to stop the wearer from snoring, in addition to tracking sleep time and quality. VVFly uses bone conductivity to tell when the wearer is snoring, and then discourages them from doing so with “soothing, gentle voice” in their ear that rouses them just enough to stop the racket. Which is theoretically better than the alternatives: “YOU’RE SNORING!”, or, the elbow treatment. Until they fall right back asleep, of course! We’ll stick with last year’s anti-snoring bed, or just our pointy elbows. This device is a prime example of how a gadget can be equal parts brilliant and impractical, depending. The ICPooch treat dispenser was invented by 14-year-old Brooke Martin, and quickly blew past its fundraising goal on Kickstarter. ICPooch provides a two-way video stream between people and furry friends using the companion mobile app (you’ll need a tablet for your pet in addition to your own mobile device in order to do video). You can also dole out treats from afar, using a “drop cookie” button on the app. 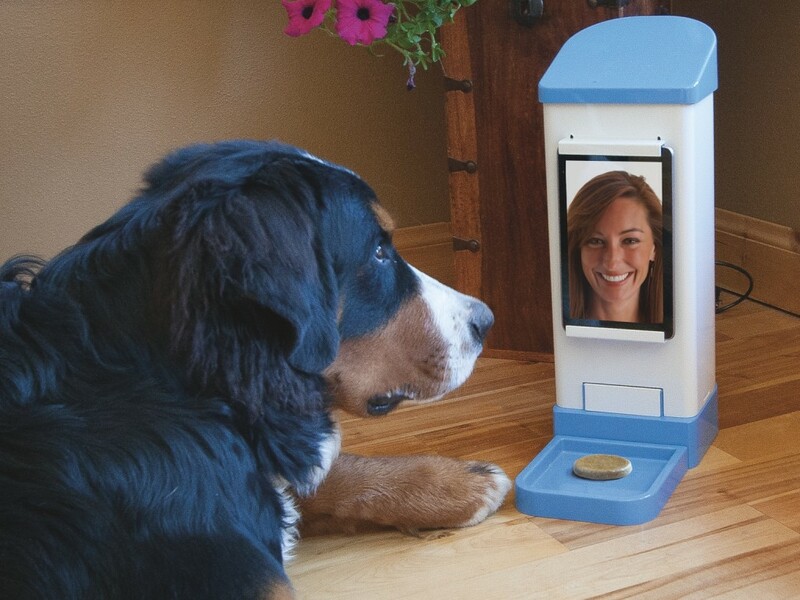 The dispenser itself connects to WiFi, so you can control it from the app even if the dog’s tablet gets buried in the backyard during your absence. The concept has a lot of merit — it’s hard to be away from our pets, and ICPooch is a novel way to interact with our furry friends from afar. On the other hand, those of us with very food-motivated pets might think twice about having a fragile screen as the gatekeeper for the dog treats. 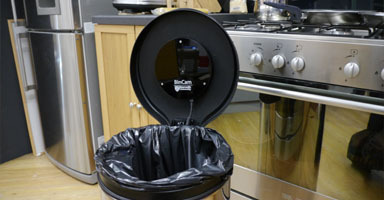 This smart garbage can, the brainchild of students at Newcastle University, is designed to analyze and improve trash and recycling habits in its users. Here’s how it works: You throw something away. A camera in the lid of the trash bin takes a photo of your trash. This photo is then sent via Amazon Mechanical Turk — a crowdsourcing marketplace that coordinates human intelligence for tasks that aren’t easily done by computer — to be analyzed by an actual human being (plausibly in a developing nation), to see how much of your trash could have been recycled or composted. While we fully support the mission, we can’t imagine many people paying to have their trash dissected by another person. Oh, and did we mention? 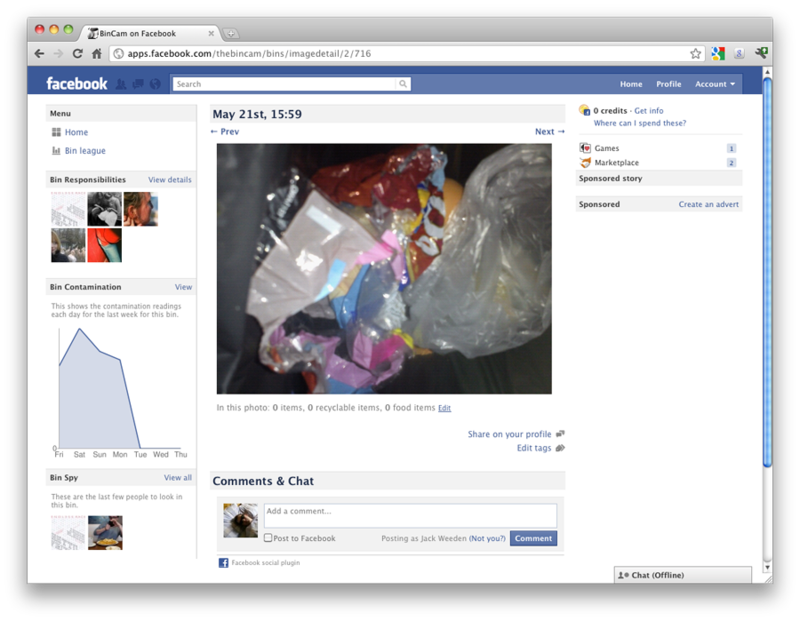 BinCam uses Facebook as its platform, so you can easily share (or worry about your trash can accidentally sharing) photos of your garbage with your whole social network. 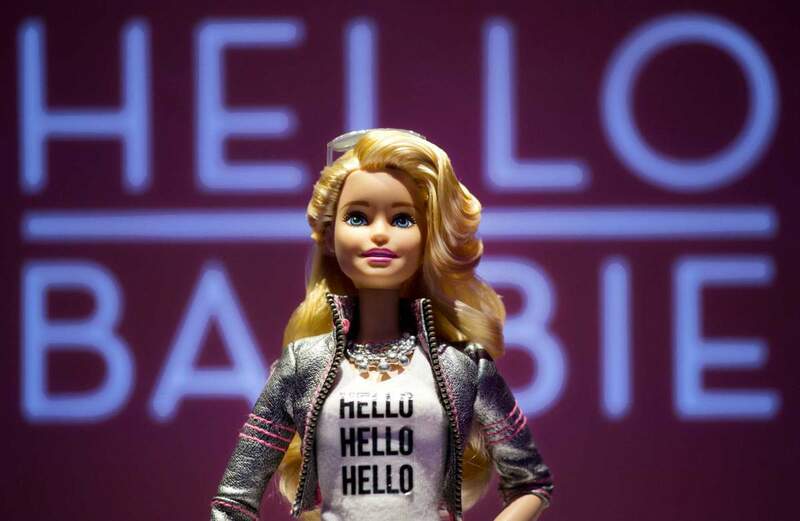 Check back next time to see our favorite picks from the best of IoT file!